Storage Condition: Stored in RT. 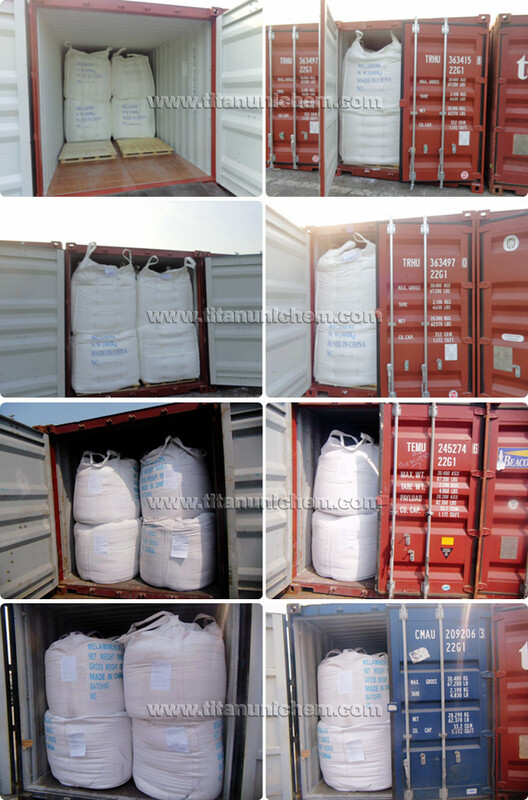 Loading of Melamine from TITAN UNICHEM. 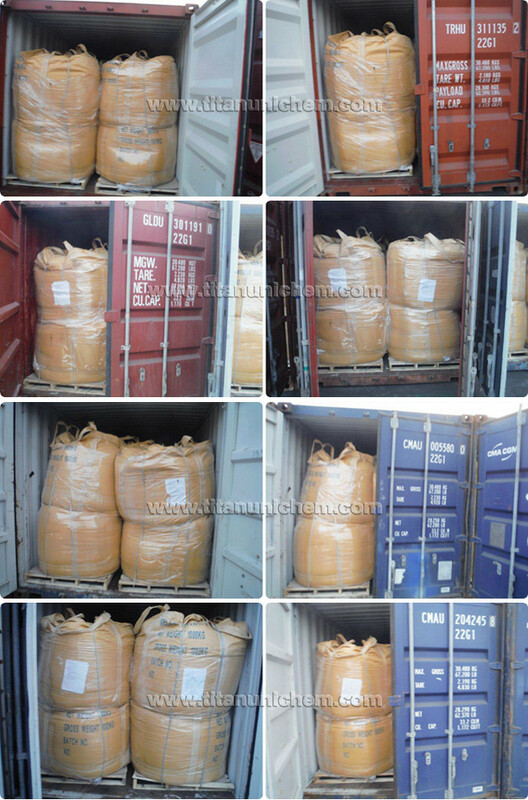 25kg bag, 500kg bag and 1000kg bag, or package as per customer's request. 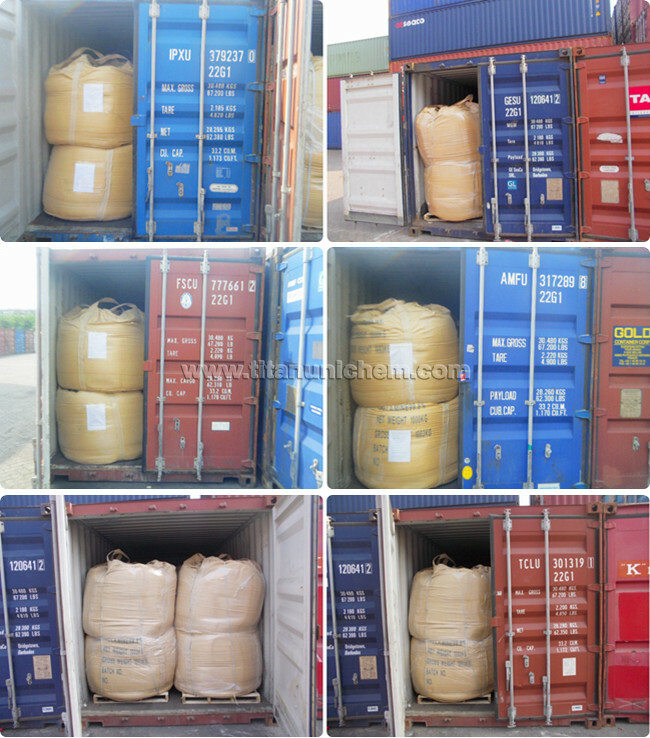 Should be kept in a clean and dry, cool and well ventilated warehouse, avoid to be stored or transported with acid and oxidant together. 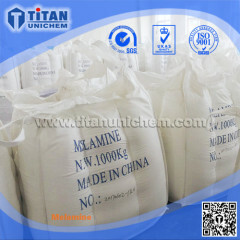 Melamine is a fine, non-toxic and odorless crystalline powder. Melamine is incompatible with strong oxidizing agents and strong acids, sublimes when gently heated. Melamine also enters the fabrication of melamine poly-sulfonate used as superplasticizer for making high-resistance concrete. 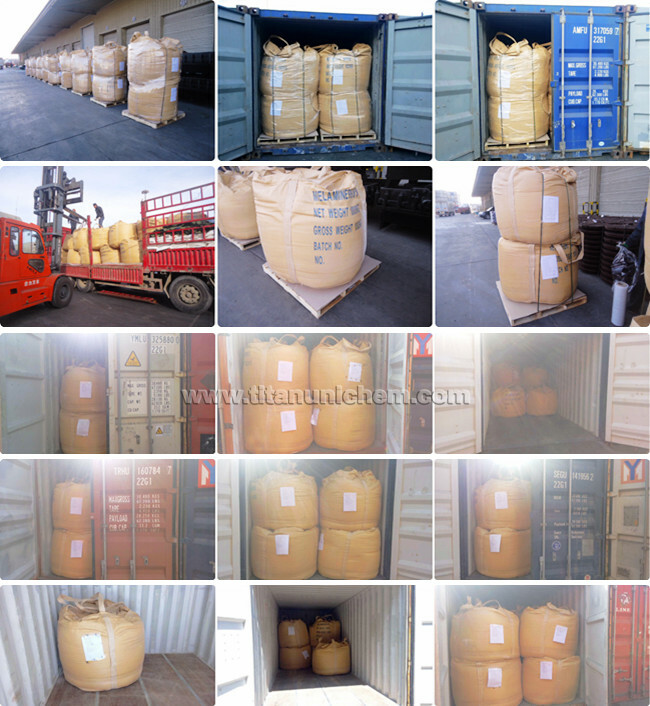 Sulfonated melamine formaldehyde (SMF) is a polymer used as cement admixture to reduce the water content in concrete while increasing the fluidity and the workability of the mix during its handling and pouring. Melamine derivatives of arsenical are potentially important in the treatment of African trypanosomiasis.